Divorce Solicitors Guildford and how do your children experience your divorce? 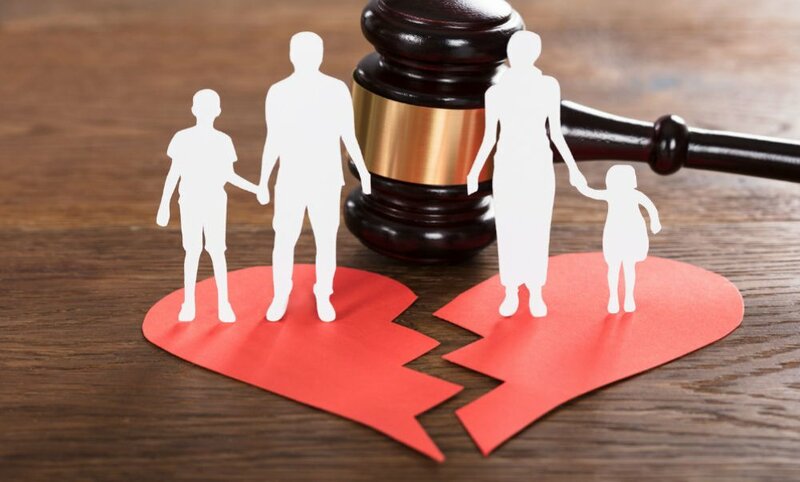 If you are considering a divorce you will find that outstanding legal advice is essential and as expert Divorce Solicitors in Guildford, here at Gregorian Emerson Family Law Solicitors we can provide you with expert legal advice using our unique psychological approach and in depth analysis to fully understand your dispute. It can seem overwhelming when you are facing a new unplanned, or unexpected future. It is incredibly likely that you may experience many unfamiliar emotions whilst going through the process of resolving your separation or divorce. One of the most common is a fear of uncertainty for the future, along with the concern surrounding the involvement of lawyers, judges and court proceedings, with which most people are not familiar. As experienced divorce solicitors Guildford we will be with you every step of the way and guiding you throughout the process. Our testimonials speak for themselves. Many marriages will end in divorce after several years together, so it is highly likely that there will be children involved in the separation. It is also a sad fact that many of these parents will continue to behave with animosity and contempt towards each other long after their divorce has been finalised and this can have a negative effect on the children observing these behaviours. Children can feel rejected by one, or both parents and many will spend years in a single parent environment, or see their parents remarry different people. Some children will even experience one or other of their parents divorcing for a second time. It is important that, in the event of a divorce becoming the only viable solution, both parents sit down with the children and explain the situation to them together. Obviously if one parent has abandoned the family and is no longer around this cannot happen, but in all other cases it should be the case. Showing your children a united front and explaining the reasons behind the divorce, in such a way that your child can understand, will be hugely beneficial in how they deal with and process the information and will also be extremely beneficial in how they are able to move forward. You need to be honest with your children and realise that they may well have picked up on the situation before you tell them and may have seen and heard things that you were unaware they had. It is important that you do not play a blame game with each other at this point and keep it as calm as possible, despite what you two may be going through privately – your children do not need to be burdened with this information and you may find this will only cause emotional harm to them for the future if you give them more emotions to deal with than they are capable of. Keep it to the facts of anything that pertains to the children. If you can all sit down rationally to explain things you will find that your children will pick up on the fact that you are both demonstrating that you can both co-parent and be there for them, as you navigate through your divorce. You will also be showing them that neither parent is a ‘bad’ parent and to be blamed solely for the split. We have also found that children tend to be able to accept the divorce and are able to process this and move forward in a much more positive manner if both parents can behave calmly around each other, especially at the initial stage of telling the children. As divorce solicitors Guildford with many years of expertise in this field we can help to guide you through the process. You can both make sure that the children are aware that none of this is their fault and that although you may be divorcing it does not mean their family as they know it has ended – more it is being rearranged and will change, but that they will still have two parents who love them. Children are often scared that they will lose contact with grandparents, aunts, uncles etc. so this is a good opportunity to let them know that these people still love them and they will be able to maintain a relationship with them. They will need to hear that the divorce has not been decided overnight, that is has been discussed and thought out after efforts have been made to save it. They will also want to hear that both of you still love them and will still be looking after them and providing for them. Most children will want to know about living arrangements, so it will be helpful to have at least had a discussion about this between you prior to speaking to the children. They need certainty and security so you will need to make sure that you have some things in place for the immediate future at least. You can discuss with them that things will be changing i.e. if one parent is moving out they may not physically see them every day, but can be in contact through the telephone, social media etc. Also if one parent is staying in the family home you can make sure they know that schools, friendship groups, after school activities etc. will not be changing. They will need to know that you are there for any questions that they have, either at that time, or any that they think if afterwards. You will need to be patient with them too as they process all this information, especially if they hadn’t been aware of anything prior to you sitting them down to talk. Children will have many reactions to the news. They often feel very helpless that they cannot change the situation and stop you splitting up. Most children will want you to stay together and are emotionally attached to both of you. They will go through a grieving process, the same as the parents will, at the loss of the relationship. They will be worried how their future relationships with both of you will evolve. They will also feel hurt that you have done this to them, especially older children, and may have trouble processing it all – you may find they ‘act up’ too as they fell you didn’t consider their feelings at all. Anger is also an understandable reaction. They may feel angry that they caused the split, anger that you are not able to sort this out and stay together, anger that they have a new financial situation to deal with (with the loss of one income into the family finances). Listening to their concerns, understanding and patience will be key here, as they will see that both parents’ emotions are heightened at this time and this unsettles children as they need stability. You may also find they show signs of depression. This can manifest in many ways, but will frequently be by spending more time alone than before, crying more often, anger or aggression, doing badly in school etc. It is definitely something to be aware of and on the lookout for and if it continues then professional help may be required. As expert divorce solicitors Guildford we can discuss any concerns you may have. It is also important to remember that you are not the first parents going through a divorce and you will not be the last. Children can and do come through a divorce and can still have meaningful, active relationships with both parents. As long as you two can communicate effectively together and put your children’s best interests first, then there is no reason why your divorce cannot be handled successfully and your children’s futures secured. Whatever legal situation you are currently experiencing, it’s reassuring to know you’ve got the very best in legal expertise, combined with psychological understanding, to maximise your chances of a successful outcome, whether that be in reaching agreements, mediation, or litigation and supporting you throughout the process. Whatever your query or concern, we are here to help and with our expertise as divorce solicitors Guildford you can count on us to help you reach a conclusion.